Fantastic cards, Tracy! They are each so unique and fun. Thanks for sharing. Oh Tracey! I love them all! And I see LAYERS! Smiling big here! You mixed and matched beautifully. I love the navy and the koi with the silhouette landscape. The girls with the pagoda are fabulous! The watercolor moon with all the sparkles took my breath away, and I adore the take out box with the gold fortune cookies! I can't believe you made so many cards! Oh, my goodness! Your worked your magic with the awesome kit, Tracey! Super cute and so fun...love them all!! Oh my....Miss Tracey, so many sweet creations! I am so in love with your moon shaker, just clever and just amazing! That gold coin with the sweet sentiment is perfect and love your sweet ladies in front of the temple, just wonderful. Love how you used all the pretty patterned paper too, just perfect! I've never seen before but appreciate. Have more fun with your kit. That was quite a kit, fabulous cards Tracey. 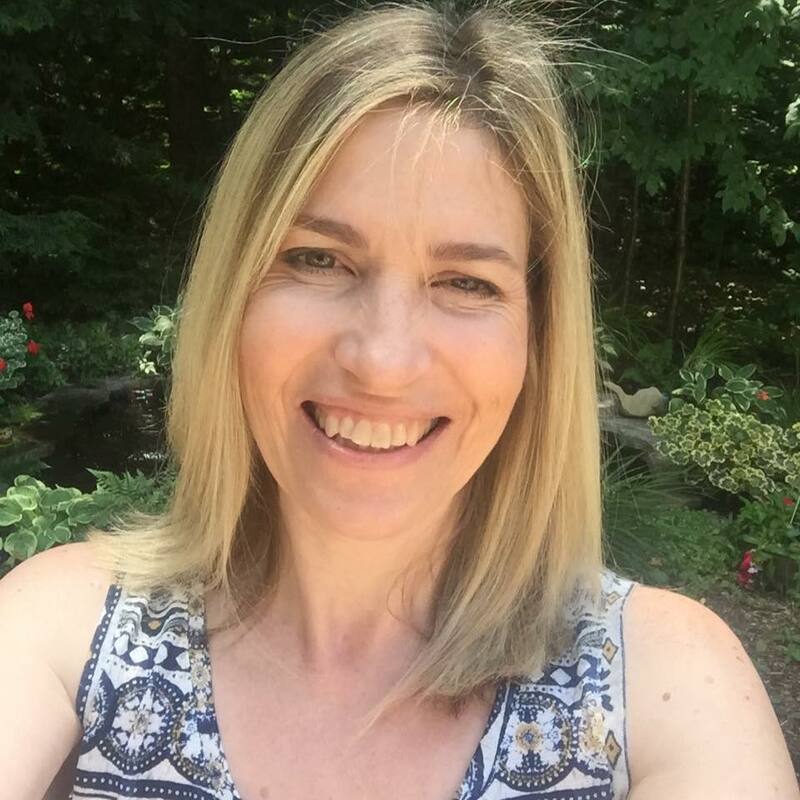 Wow Tracey ~ you totally rocked Jeanne's kit! I love the printed paper you used to back up the darling little geisha girls. That card is wonderfully vibrant and so much fun! 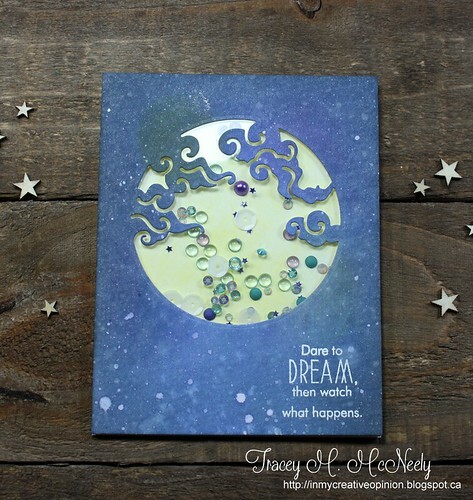 The night sky shaker card is stunning and I love that you made it into a shaker. I love the way you layered the printed papers so seamlessly. Beautiful, beautiful cards my friend! Oh my, Tracey! I love the papers you chose to put with each of the images! 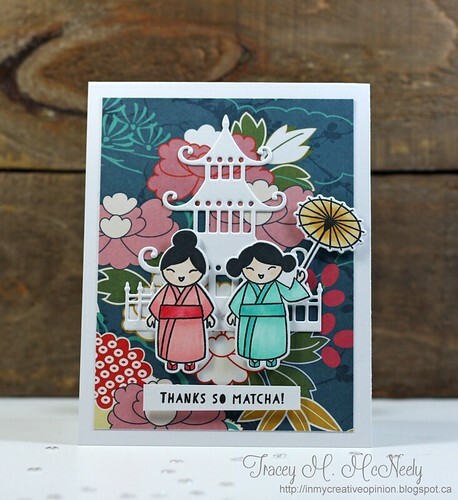 Those geisha girls work so well with the large floral because the pagoda separates them just enough! I love the square sentiment design inside the gold coin, and the smokey grey silhouette of the garden! Your cards are all so wonderful! These are SOOOO SWEET! 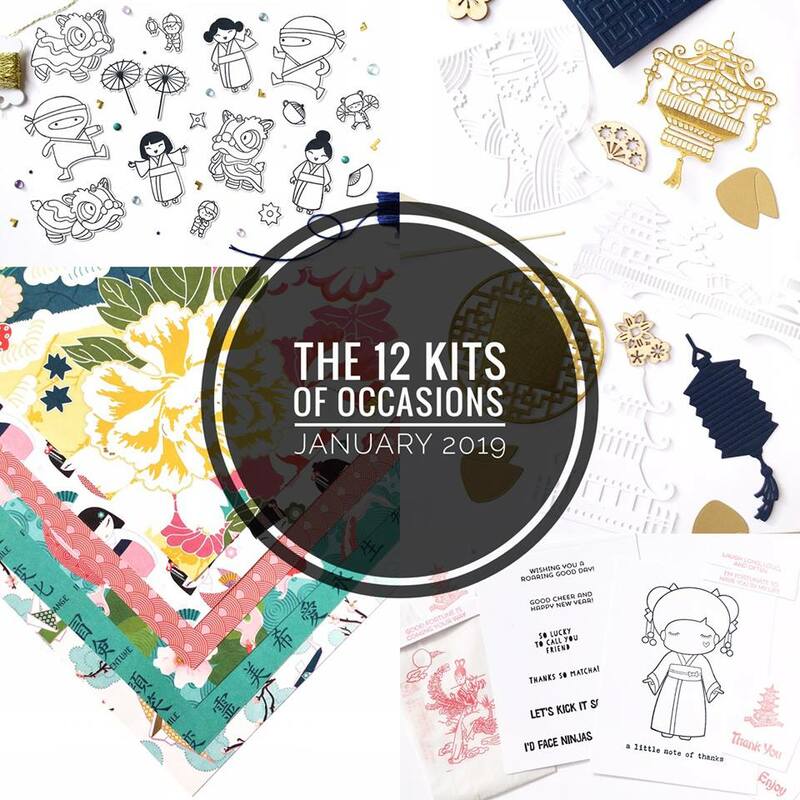 I love the oriental feel since Chinese New Year is just around the corner! Oooh, LOVE these, Tracey!! So sweet! Wasn't this a fun kit! I can tell you had a good time! These are all just fabulous but the first is my favorite. The girls in front of the pagoda with that PP look perfect together. I also really like your take out card. I wasn't sure what to do with those, but I love your idea! Tracey, you really used the papers to perfection! The first card works so well with the flowers behind the white pagoda and the sweet girls in front. Every design is so carefully layered and still has a wonderful clean look. Your last card is so especially stunning! Love that it's a shaker too! Love love love love these!! They are absolutely BEAUTIFUL!!!!!!!!! Your fusion of all of the colors and paper combinations is AMAZING! `LOVE the SUPER colorful Matcha card!!! And to have the koi as an oversized background, BRILLIANT! The gold over the geisha papers, WOW! and the inking of the sky, surreal. Love all of your cards and I am inspired to join the Daily Marker to keep this mojo going! Thanks so much for letting me "Hang" out with you and the gang this month! I had a wonderful time! Five beautifully designed cards Tracey and I love each colorful one. Love that first one with the beautiful blooms and white building so pretty! The fortune cookie card is another one of yours I love. Hope you enjoy a little less snow this weekend . Our spa is connected to the pool and we only turn the spa on 20 minutes before we go in. I think my sister keeps her swim spa on all the time like you as well. We do of course run the filter many hours every single day. Your cards are STUNNING!! I am loving all the fabulous touches on your cards!! These are all so fantastic, Tracey. Looks like a super fun kit that really inspired your creativity. 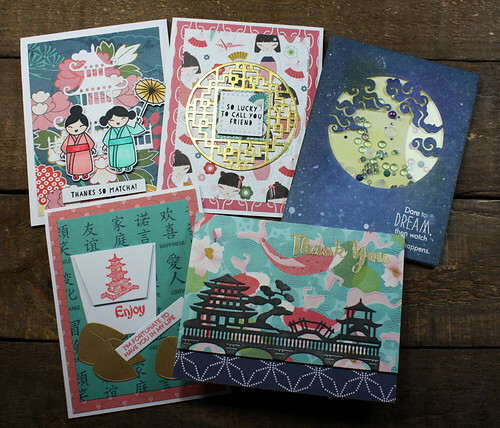 What a fabulous collection of oriental cards Tracey and I particularly love the inking on the Dare to Dream card.